Packing his bags and traveling 7,000 kilometers away from his home of Lismore, Australia, his family and everything he knows to go to the “Pearl of the Andaman,” Phuket, Thailand, Brentin Mumford his pursuing his dream to be a top mixed martial artist. 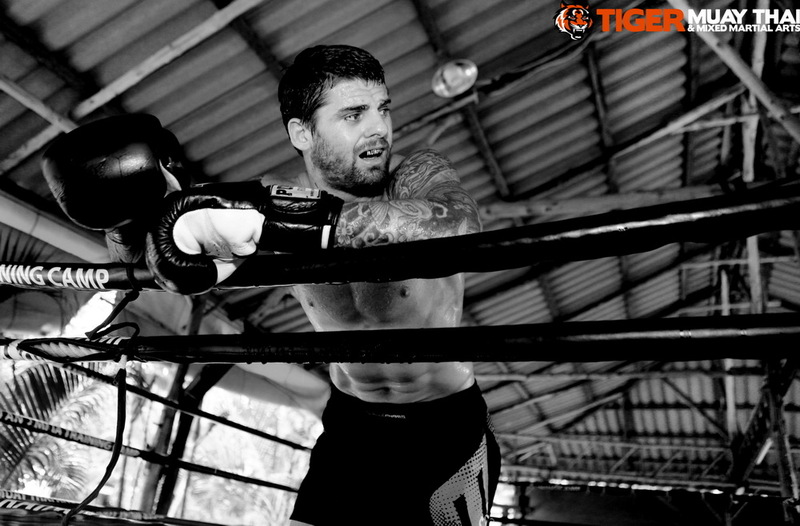 Mumford first came to Tiger Muay Thai in 2013 and has come back repeatedly for his last four fight camps. “ Fight prep here is unreal, no stress, world class training and training partners every day of the week,” said Mumford. In preparation for his dream and to get the best out of himself, Mumford comes to Tiger Muay Thai for months at a time to train and sharpen his craft. Mumford fights in promotions as Roshambo and Nitro In Australia. His next fight is on Nitro12 in Brisbane, Australia October 11, 2014.